Increase your general knowledge about music. Go to a jumble sale/car boot sale/yard sale and challenge yourself to find three CDs for a buck or less, which you know NOTHING about – the more obscure the better. Take them home and listen through, and then read about what you’ve heard. Look at the CD booklet, or look up the artist/composer on Wikipedia or Google. Great musicians have great ears. With ear training you can enhance your ears for music. 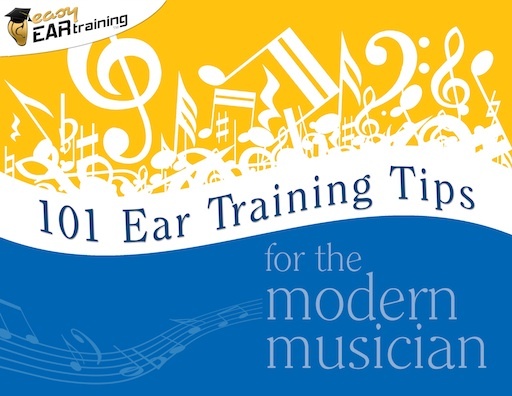 "101 Ear Training Tips for the Modern Musician" is the new eBook with 101 tips, tricks, and fresh ideas for keeping your ear training fun, easy and effective. Take a tone deafness test online.